According to a latest study, a diet rich in fruits, whole grains and green leafy vegetables, might not balance out the risks caused by foods with higher salt content. Reduced the intake of fattening fries and burgers? Great. But if you think swapping burgers for healthy dal-roti is enough to be healthy and keep diseases at bay, you may have to think again. According to a latest study, a diet rich in fruits, whole grains and green leafy vegetables, might not balance out the risks caused by foods with higher salt content. Previous studies have reinforced the idea of a healthy diet with adequate proportion of nutrients for a perfect functioning of body. They have also been considered to play an effective role in counteracting the effect of high salt on blood pressure. Now according to the findings of this study, these foods may tend to lower blood pressure, the new research suggests they do not counteract the adverse influence of salt intake. The study said, that no matter how healthy the overall diet is, if you have been eating high amounts of salt you are most likely to have high blood pressure and stroke said the researchers. "We currently have a global epidemic of high salt intake and high blood pressure. This research shows there are no cheats when it comes to reducing blood pressure," said Queenie Chan, research student at the Imperial College in London. Researchers said that people must monitor their salt intake in addition to having a healthy diet. Steps must be taken by food manufacturers too to keep the salt content in their products in a moderate range. "Having a low salt diet is key - even if your diet is otherwise healthy and balanced," Chan said. For the study, published in the journal Hypertension, the research team noted the diets of 4,680 people, aged 40-59, for four days. The sodium and potassium concentration in urine samples of the participants were assessed to check the amount of salt intake per person. Researchers found a peculiar correlation between high blood pressure and higher salt intake, even in people who were eating a high amount of potassium and other nutrients. 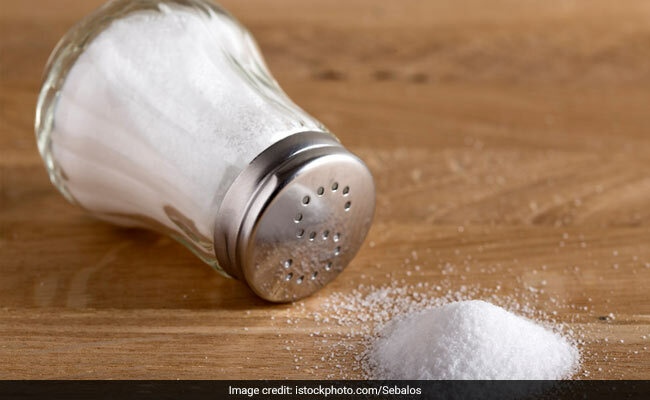 "As a large amount of the salt in our diet comes from processed food, we are urging food manufacturers to take steps to reduce salt in their products," Chan said.